On a campus consisting of massive, towering, and overwhelming structures with floor to ceiling windows and hyper-modern architecture, the Religion House has acted as a sanctum for me, precisely because it is just that, a house- a home. My reasoning for choosing the major is a bit embarrassing, to be honest. When I was in high school, I was somewhat obsessed with the History Channel(or Pseudo-History Channel) show, Ancient Aliens.The show stoked a fascination in me for learning about diverse religious traditions and the cultural contexts that accompanied them. The show always lost me, though, at “it was aliens!” It was this fascination (minus the radical theory) that brought me to the Religion department my first semester, freshman year. 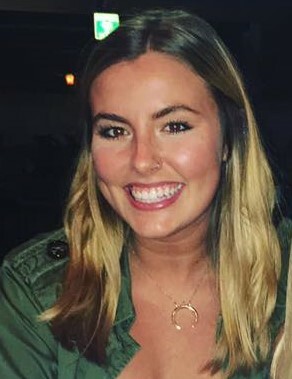 What the Religion program offered me, however, was far more thought provoking than “fascination” and that is the reason I remained a Religion major. Passions I never knew I had, such as investigating gender and race theory, were fostered through this program and it has made me the complex thinker I am today. In ten years, I picture myself as a museum curator, working on projects that relate to gender theory and racialization. More specifically, I hope that I will hold a position that relates to colonialism and sainthood and saints in America. This has been the focus of the major research project I conducted in the Religion Department and it will undoubtedly follow me into my graduate program, and (with any luck) into my career. On a more personal note, I will be able to afford a dog and a mortgage. 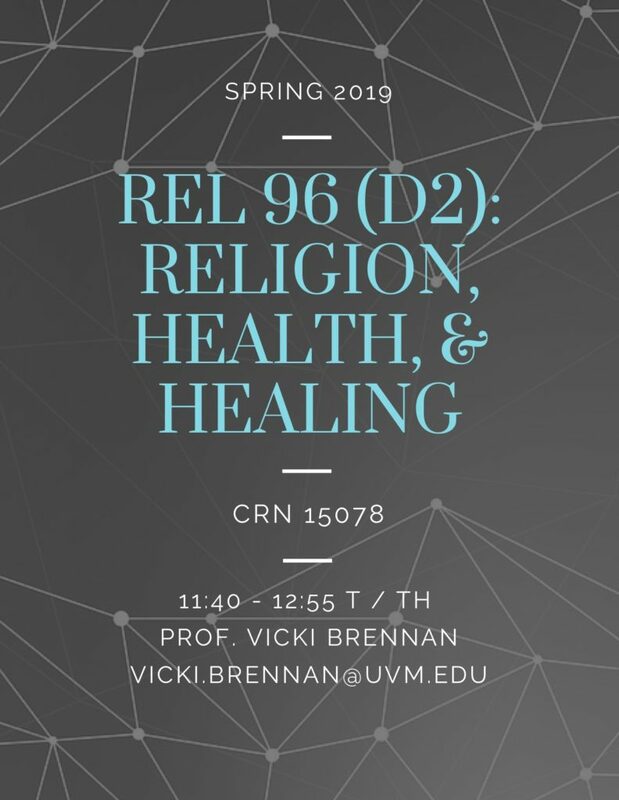 Prior to Fall Semester, 2018, I would have said the most valuable class for me was “REL 224: Seeing the Sacred” which is about the role of visuality and visionary experience in the Christian tradition prior to the Early Modern period. That class was the most valuable for me, personally, and I want to plug it here because it is incredibly engaging (and Anne Clark is, of course, amazing). 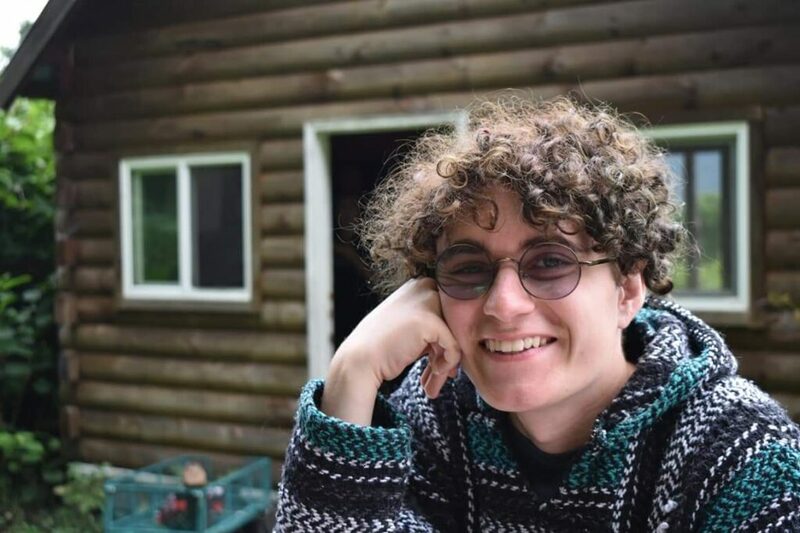 In the Fall of 2018, however, I entered into Ilyse Morgenstein-Fuerst’s “REL 297: Religion and Empire.” This class explored in incredible depth how gender, race, religion and science (to name a few) functioned to advance Empire from early colonialist efforts to today. I firmly believe this class changed the way I engage with the world on a professional and personal level. 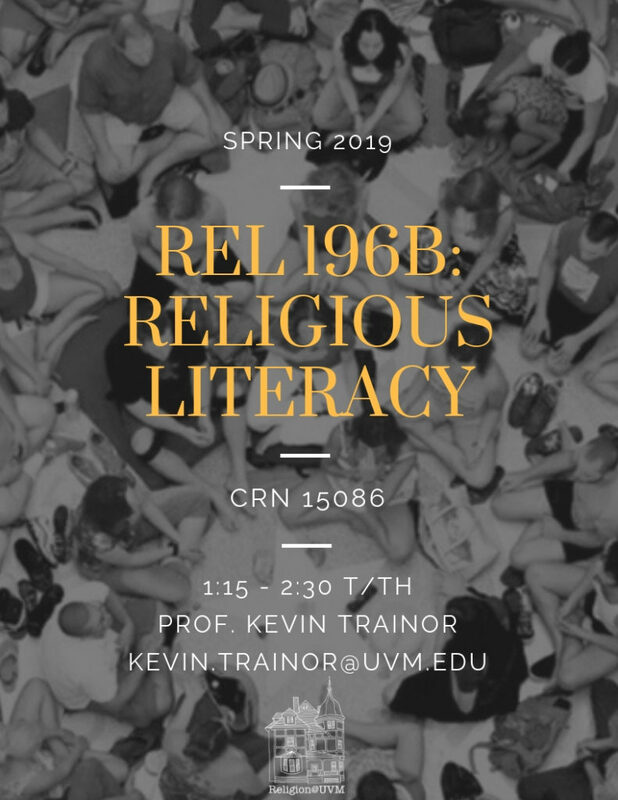 I believe every human being (let alone every religion student) should be required to take this course. I would definitely write a book about colonial saints and the role of sainthood in America as I mentioned earlier. I’ve also been very interested in the gender relations and expectations of Medieval and Early Modern Christianity. More specifically, I would write a book about medieval witch trials. I’ve had an informal goal for the past few years to write creatively and I’d like to write a book that’s less academic. I don’t have any specific memories of 481 Main, but the building has played a significant role in my collegiate life. 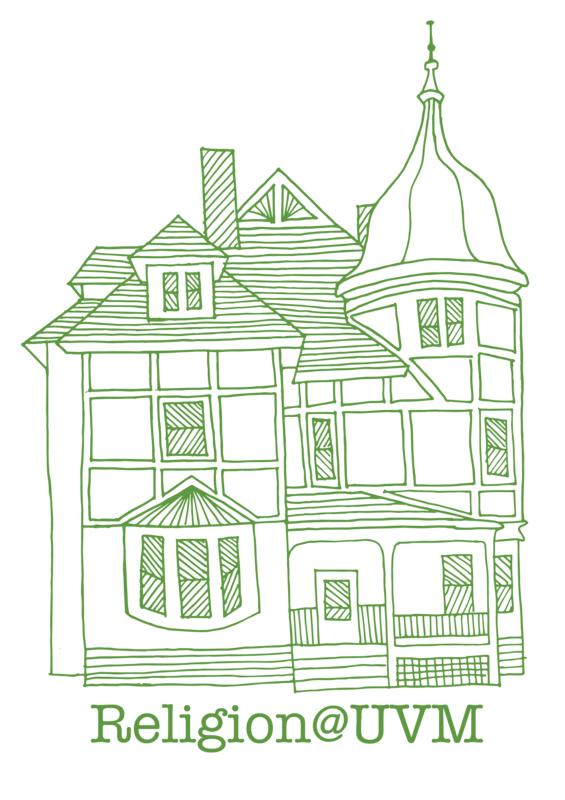 On a campus consisting of massive, towering, and overwhelming structures with floor to ceiling windows and hyper-modern architecture, the Religion House has acted as a sanctum for me, precisely because it is just that, a house- a home. I love it because, like me, it exists on the margins of the status quo (as does the religion major itself on a science-oriented campus). 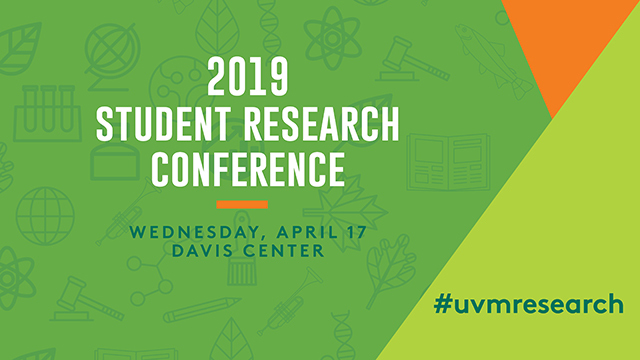 When I look back and reflect on my time as an undergraduate, I don’t think I’ll remember UVM; I’ll remember 481 Main Street and the countless amazing experiences I had there. 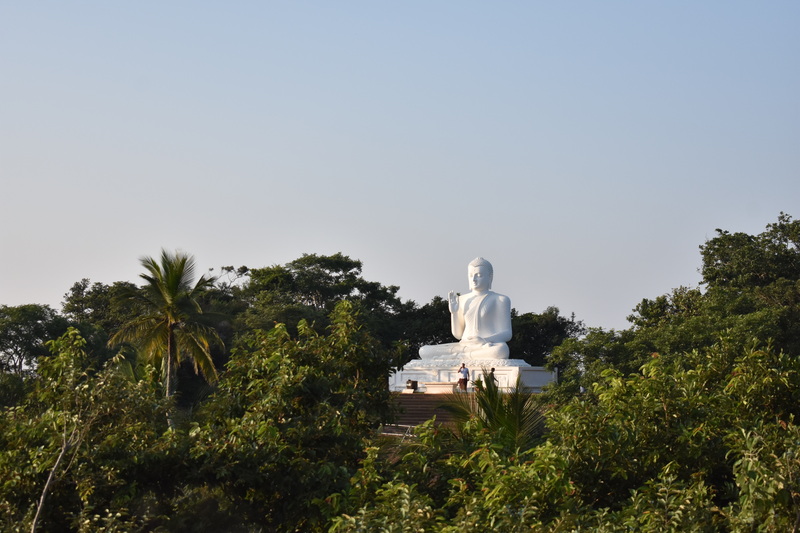 Looking across at the Mihintale Buddha. All photos taken by the author. “So, the other tour guide was wrong, then?” one of our students asked from the back of the group. The branches of an enormous Bodhi tree stretched above us, the fence around it decorated with strings of Buddhist flags. Located in Anuradhapura, the tree is said to be one of the oldest in the world. It was the first Bodhi tree in Sri Lanka, planted using a branch from the tree in present-day India under which the Buddha reached enlightenment. The colors of the flags woven through the fences and branches were the subject of our discussion. Our guide had just finished explaining the significance of the flag. Each color represented a different quality of the Buddha, he told the class. In his description, yellow was for the Buddha’s robes, orange for skin, and white for purity. The day before, a different tour guide in Polonnaruwa told us that the colors signified body parts of the Buddha. There, it was blue for eyes, orange for gums, white for teeth and bones, and red for blood. These colors come together in a final stripe to represent the Buddha’s multicolored aura. Both men had authority as Sri Lankans and as official tour guides, yet the answers they provided conveyed the complications of searching for a single, “true” Sri Lankan reality. Questions about the colors of monks’ robes elicited similarly mixed responses. One man in a small village near Kandy told us the differences in color is due to a monk’s status, with the head monk in the village wearing maroon while lower-status monks were orange. 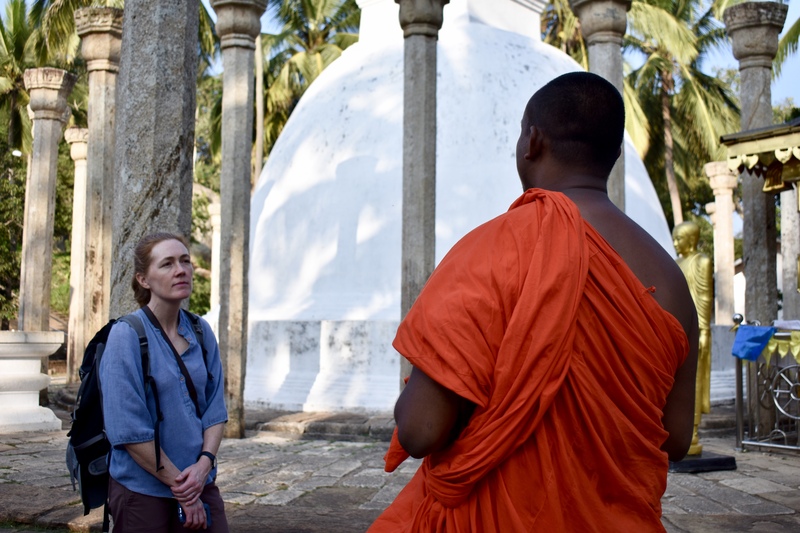 Days later beneath the Bodhi tree in Anuradhapura, the class was told that monks are just given whatever robes are available, and that the colors do not mean anything beyond what resources are offered. His answer also implied that some colors were more expensive to produce than others. Taken aback by the contrast in the multitudes of answers from guides and locals we had talked to, some students immediately sought to find and label one answer as the “correct” one. They were asking questions which should have simple, concrete answers. Or so it seemed. This assumption is ultimately what led to the comment that one of the other guides had given us incorrect information the day before. Later in the evening, after leaving the Bodhi tree behind, we clambered back onto our bus in order to drive to Mihintale. 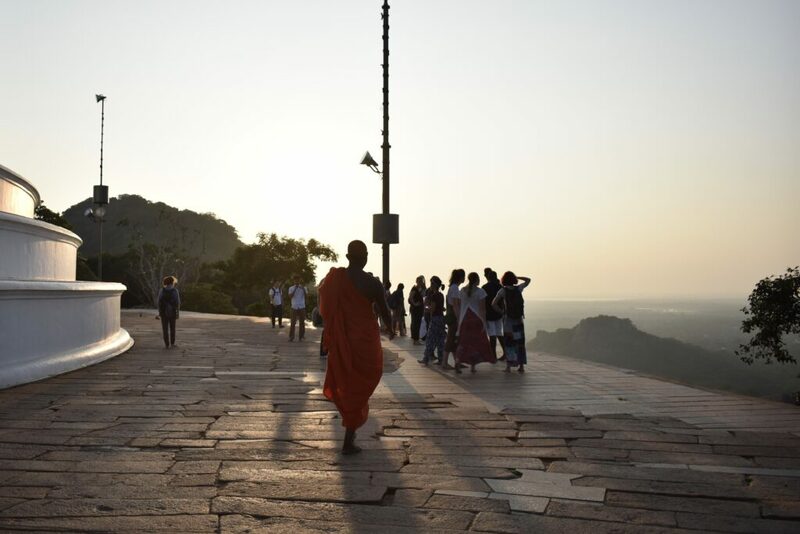 About a half hour’s drive from Anuradhapura, Mihintale is known as the site where Buddhism first came to Sri Lanka. We were met in the parking lot by a monk who would be our tour guide, and would later be referred to as “everyone’s favorite.” He told us he was a “liberal, open minded” monk, and that he would answer any and all questions candidly. 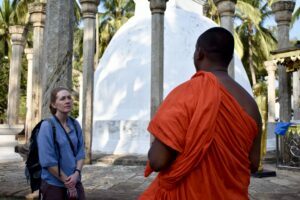 The students immediately took to his openness, asking questions about the history of Mihintale, his own path as a monk, and the workings of the monastery. As our conversation continued over tea, he challenged some of the assumptions that students brought with them, especially about how and why people become monks. In our guide’s case, he had asked his mother to allow him to join the monastic community when he was 12 years old, going against his family’s wishes. From the beginning, one of the goals of the UVM travel study course “Travel Writing in Sri Lanka” was to convey the various realities of this South Asian country and its people. In a country that has been involved in a 30-year civil conflict which ended barely a decade ago, it is especially important to acknowledge the differing experiences and stories of people living there. In addition, this context asks us to question why we hear certain kinds of answers, and maybe don’t hear others. Which histories are promoted, and which are pushed to the side as less valid – less “Sri Lankan”? Over the course of our two weeks in Sri Lanka, this theme of stories and capital “T” Truth kept coming up. This culminated at the International Buddhist Museum in Kandy. As the Teaching Assistant for the travel writing class, I welcomed the opportunity to explore the museum by myself for an hour or so, while our class was observing and writing about the Temple of the Tooth complex across the street. 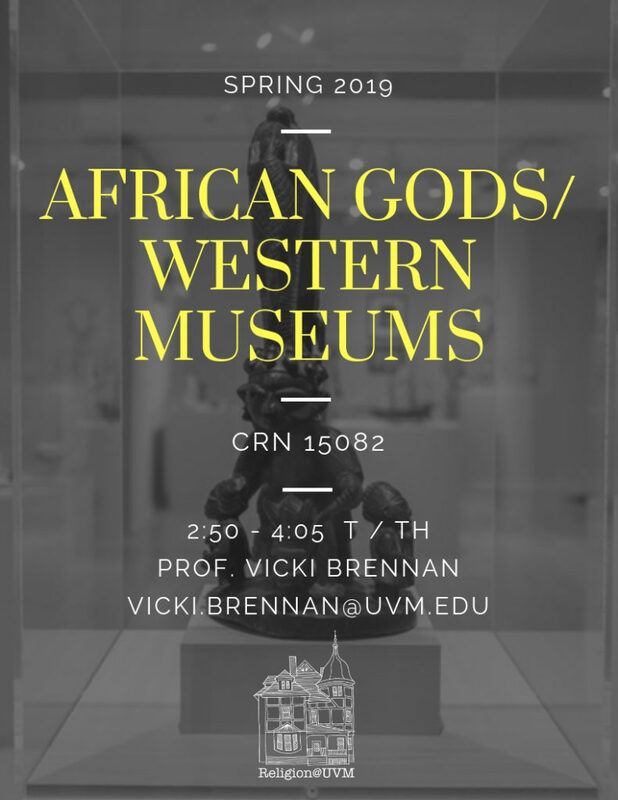 As a religion major, I was intrigued by what information would be offered in the museum, and how it would connect to classes I have taken back in Vermont. The first four rooms of the museum are all designed to explain the history of Buddhism in Sri Lanka, and the significance of various sites around the country. After traveling through this detailed description of Sri Lankan Buddhism, the visitor is expelled into the main hall, from which you can continue through the ground floor through rooms with artifacts from India, Nepal, Bhutan, Bangladesh, Afghanistan, and Pakistan. Or, you can walk up the central staircase to rooms on Thailand, Vietnam, Myanmar, Indonesia, Laos, Cambodia, Malaysia, China, Tibet, Japan, and Korea. This format of the museum in some ways mirrors the spread of Buddhism, and is accompanied by maps showing exactly how the different forms travelled across the continent. What was most interesting to me about this museum was the message conveyed about Buddhism which worked to give further authority to Buddhism in Sri Lanka specifically. 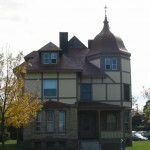 Take, for example, the single room containing objects from Nepal. Of the 15 or so pictures and items on display, the majority were from Lumbini, the birthplace of the Buddha. The introductory panel to the room stated that Theravada monks in Nepal are the most respected, although they consist of a much smaller population than the Tibetan or “Lamaist” monks. The only artefacts related to forms of Buddhism found in the Himalayas were a picture of Swayambhunath stupa and a model of Boudhanath stupa, both of which are in the Kathmandu valley. This dynamic stuck out to me because Theravada Buddhism is what exists in Sri Lanka, and is highlighted in the museum as being most important Nepal, even though it is the minority of Buddhists there. Thus, the museum seemed to be primarily an exercise of nationalism, even as it taught visitors about Buddhism throughout the world. Museums are spaces which are widely assumed to be secular, objective, and authoritative – or close to it. The International Buddhist Museum calls each of these qualities into question. Walking its halls, I once again found myself questioning how and why certain Sri Lankan realities become more legitimate or popularized than others. Sri Lankan organizations often promote a unified national identity, yet little attention is given to the minority Tamil population that is predominantly Hindu. It has become a recurring discourse of “oh, and also…” which can be seen everywhere from the nation’s constitution (in reference to language and religion) to the conversations of people on the street. Yet in reality there is no single “Sri Lankan” way of life. This was made clear to our class again and again, with every contradicting explanation and every person we met. Looking back, Mihintale was a turning point at which many students began to realize that they would never find the one capital-t True answer to their questions, and that a more interesting project is to look at the nature of the conflicting responses. Perhaps it was the openness of our favorite Monk-tour guide that allowed them to begin to shed their obsession with objectivity and their grip on Western frames of thinking. Perhaps it was the beauty of the dagobas and mountains at sundown. Either way, we left Mihintale with our energy refocused towards seeking out and accepting difference and small “t” contextual truths. and counts toward University D1 requirements. Hate crimes are on the rise against every minority. We have seen calls to ban refugees, ban immigrants, and ban Muslims. We talk about countries as “Muslim states.” When we hear “Muslim” we think “terrorist.” Many Sikh Americans who wear turbans are victims of anti-Muslim crimes. All of these grim facts reflect a racialization of religion—a process that collapses many identities, ethnicities, languages, nationalities into one overarching race. We can’t understand things like an uptick in hate crimes, how Sikhs are prominent victims of anti-Muslim violence, how whole countries can be seen as the same as each other because of religion, how very different communities are seen as the same, and how “Islamophobia” became real without understanding how Islam and race are conflated, constructed, and operate. Islam is not a race—religions are not races—but Islam and religions can and are racialized. In this course, we examine how Islam and Muslims (those who practice Islam) come to be seen as a cogent race. 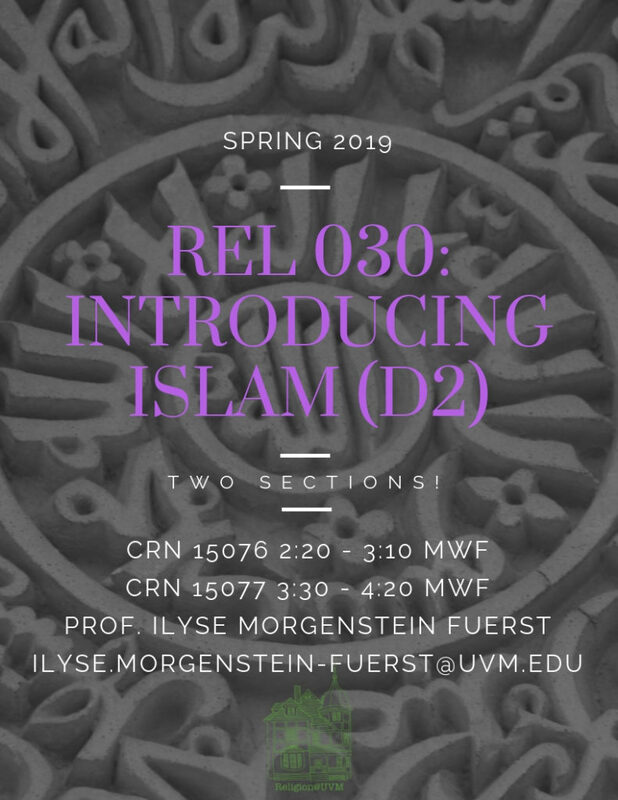 The racialization of Islam and Muslims is global, and in this course we will reference transnational and historical patterns of race, religion, and Islam, but we focus on North America to keep our scope maintainable. 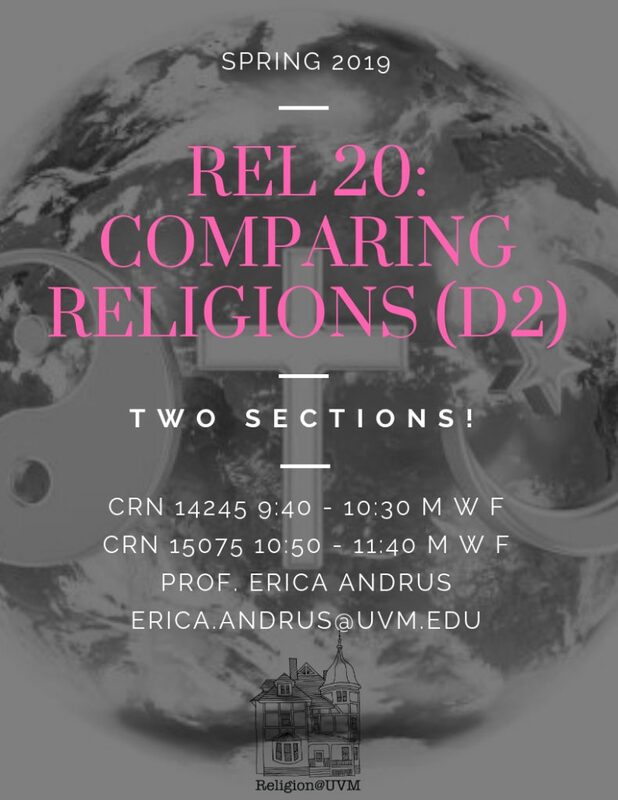 The course takes theoretical ideas (definitions of race and religion and the racialization of religion) and explores them in case studies related to Muslims—and those imagined to be Muslims—in North America. We explore notions of “whiteness,” “brownness,” and “blackness” as they play out for Muslims as well as Islamophobia, surveillance, and the category of “Muslim” itself. This intermediate-level course asks questions about Islam and race in ways that are consistent with contemporary methods and theories of the study of religion and the study of race, preparing students to apply what they learn to other religion courses, other religious traditions, and in daily experiences of a world marked by religious and racial identifiers. Examination of “whiteness,” “brownness,” and “blackness” through primary and secondary materials as well as a lot from films, TV, Twitter, and music! 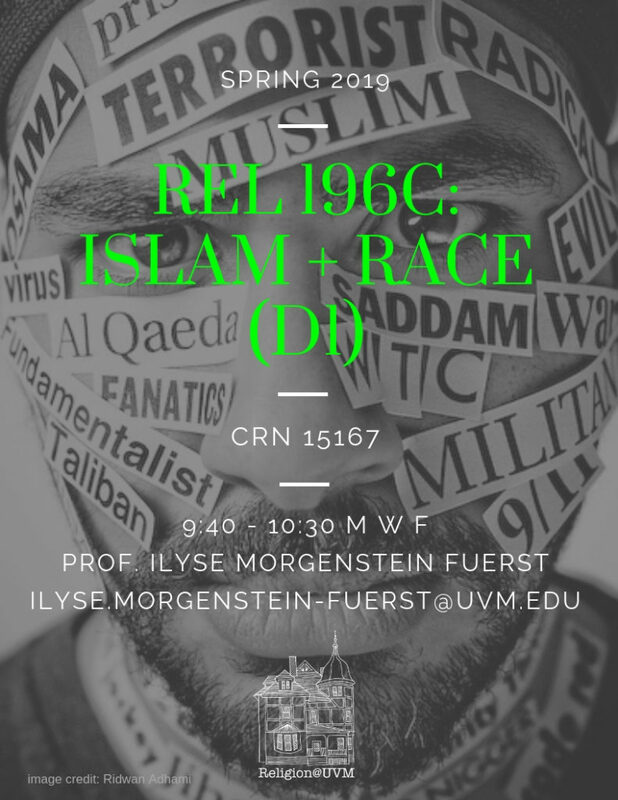 Students will develop an awareness of “race” as it relates to North America and Islam/Muslims, which includes historical and contemporary issues . Students will develop an appreciation for their own assumptions of race, religion, and Islam. Students will come to understand the intersection of race, religion, and Islam, including how these ideas come to affect people’s lives, community structures and practices, and institutions. Students will develop critical thinking skills that will empower them to discern diverse viewpoints analytically, thoughtfully, and rigorously. Students will work on transferrable skills, such as critical reading and writing, in order to interpret and evaluate course materials, popular culture, as well as books, articles, media, and more.